Students, parents, and judges cheer one speaker. 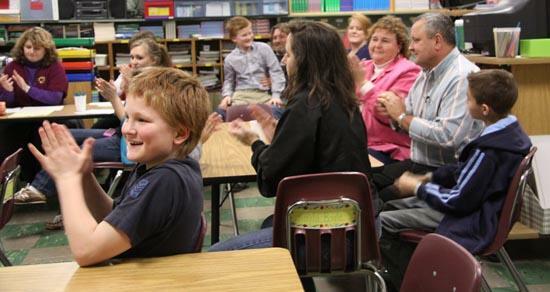 The Cannon County Public Speaking Contest was held by the 4-H Club at Short Mountain Elementary Tuesday evening. Participants who braved the heavy rain gathered in the cafeteria and then moved into different classrooms to give their speeches. A full list of participants and award winners will be posted in the near future.